Fun place value idea from Teachin' First. Kids use paper base ten blocks to construct an original design. Kids can get super creative. They could make a robot, rocket ship, scenic landscape, an animal, or even a TV! Then, they figure out their number. Visit Teachin' First for a free paper base ten blocks printable to go along with the activity! 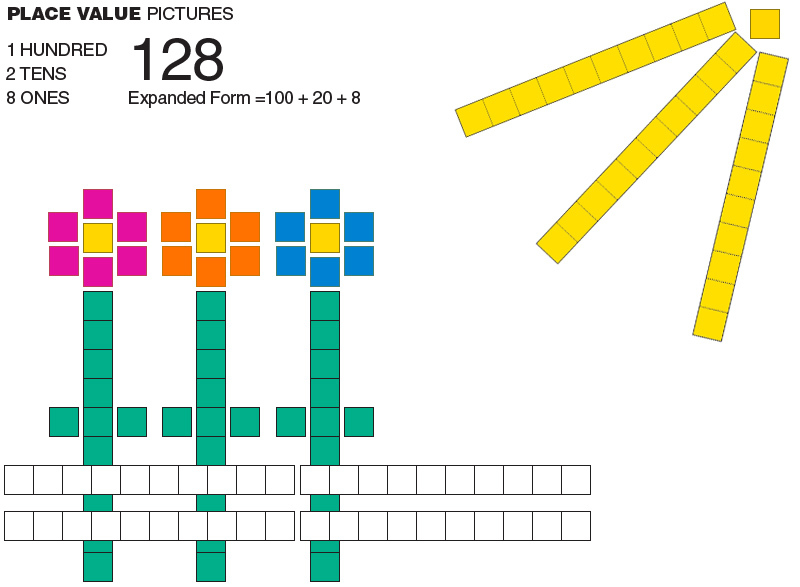 You can use the paper base ten blocks to create Place Value Initials! Click here for details. Thanks for sharing my post! I loved UC's teaching program. Is it still a 5 year program with a full year of internship? Hopefully they do - I learned so much during that last year of internship. Good luck!